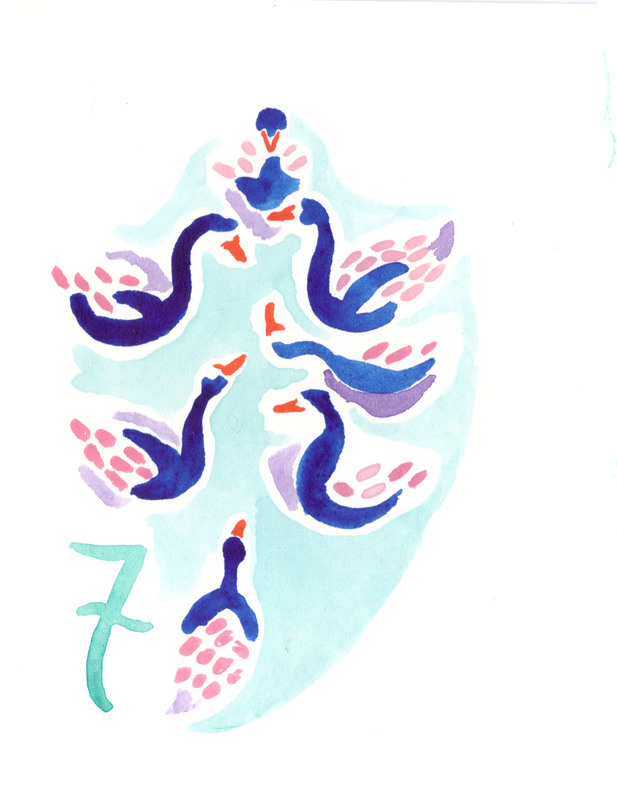 7 Swans a swimming. Watercolor on paper. My favorite day of Christmas watercolor yet.